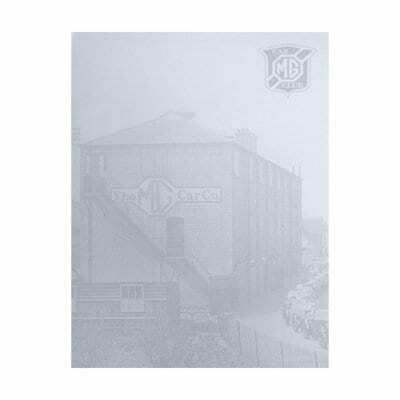 It’s no wonder MG Car Club Fudge is such a popular gift! 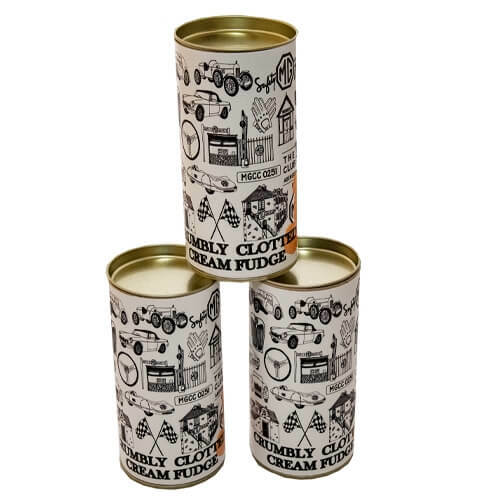 It’s made with real clotted cream, so it’s not only unbelievably soft and smooth, it’s got a rich, sweet flavour that’s hard to beat. Packed in a drum, this 100 gram broken fudge would make a great gift. 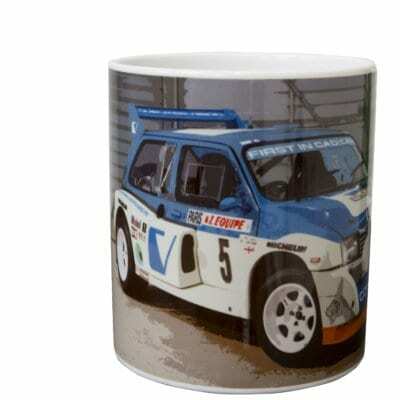 Featuring the car driven by Tony Pond, with navigation from Rob Arthur, this high-quality ceramic mug shows the MG Metro 6R4 in the legendary ‘Computervision’ livery, complete with MG Car Club logo on the base. The perfect companion for your morning cuppa! 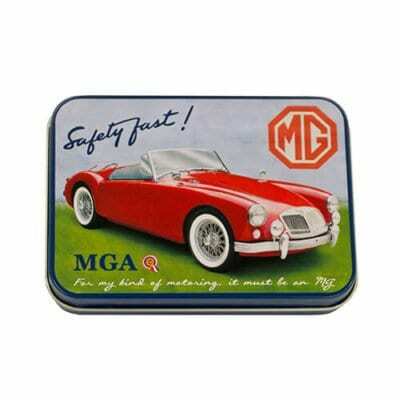 MG MGA at the Races. A sturdy ceramic mug perfect for your hot drink at home or at work. 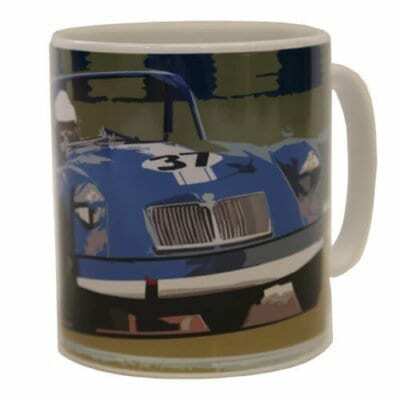 Limited edition with our MG Car Club stamp on the bottom of the mug. All of our mugs are dishwasher safe and can be used with ovens and microwaves. The high quality mugs and ink we use ensures that the picture never fades.